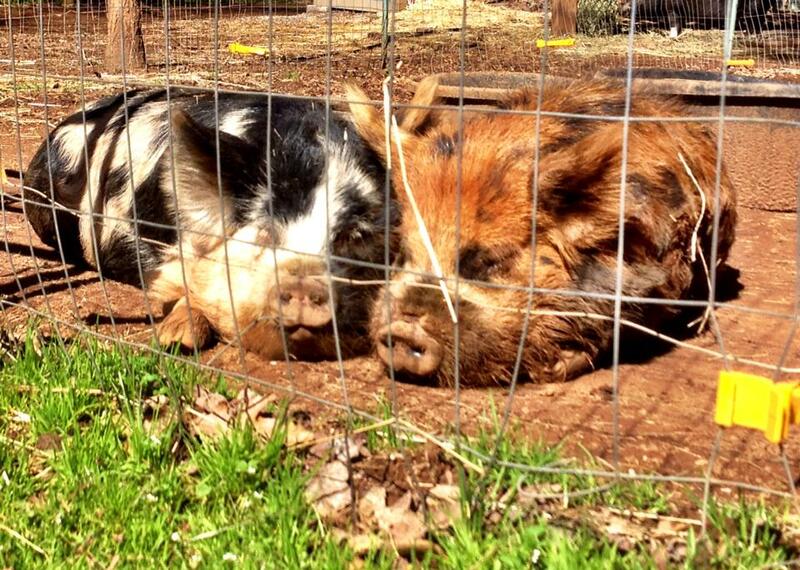 Meet Our Pigs – Equine Partners, Inc.
Hakune Matata PIg Farm is home to two Kunekune pigs — our breeding pair, Pavarotti and Maybelline — and one pot-bellied pig, Uncle Crisco, who is not a breeding pig. All three pigs spend most of the day together as part of the daily routine, and then Crisco retires for the night into his own pen. When Maybelline is expecting a litter or raising young piglets, she moves into the barn where she and her offspring can enjoy the privacy of the nursery. If you visit the ranch around feeding time, you’ll learn quickly how Pavarotti got his name. He has an impressive vocal range and he’s not shy about showing it off. He also enjoys yoga, bananas, and napping in the sun. Pavarotti came to us from Diamond Wire Farms in Placerville, CA. His mother Hazel won Grand Champion Sow and 2nd Place Classic Head at the West Coast Heritage Classic 2013. Hazel is of the Jenny sow line and TeWhangi boar line. HIs father Piazzi won 1st Place Classic Head and 2nd Place Aged Boar at the West Coast Heritage Classic 2013. Piazzi is of the Jenny sow line and the Andrew boar line. Maybelline has the longest eyelashes we’ve ever seen on a pig, and she knows how to use them. She loves to be brushed and keeps herself nicely groomed. On hot day you’ll find her in her pool keeping cool or in her pond, protecting her delicate skin with nature’s sunscreen — wet clay. Maybelline came to us from The USA Herd in southern California, one of the first and largest Kunekune breeders in the United States. 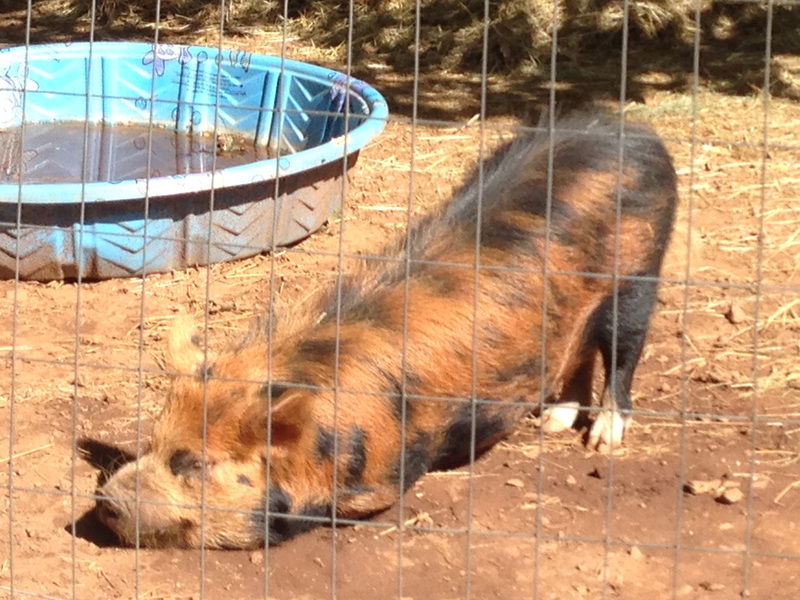 Crisco is a miniature pot-bellied pig who spent his youth as a house pet before he moved to Hakune Matata. 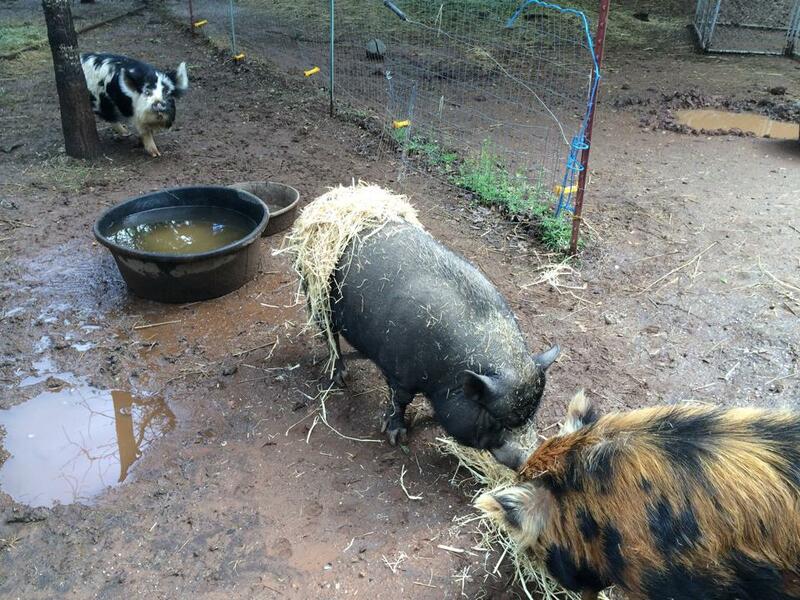 He likes to burrow into the straw and thus can often be seen wearing a straw tutu around the pen. He is not a breeding pig, but he and the Kunekunes are friends and play pig games like “chase” and “follow the leader” in the cooler weather.